1-1/2" & 2" Full EPDM Gasket | U.S. Plastic Corp. These are replacement 1-1/2" and 2" full EPDM gaskets. 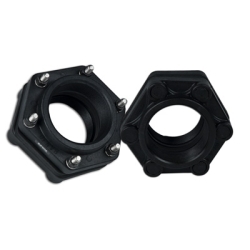 Use with 1-1/2" and 2" Banjo® Bolted Tank Flange and 1-1/2" and 2" Banjo® Bolted ‚ÄúBottom Drain" Tank Flanges.